The cranberry curd is so smooth and easy to make. You can imagine this spread over crepes, or buttery toast, or you may use this curd in a twist on lemon meringue pie for Holiday dinner. I think that’d be amazing! Note: Use frozen cranberries if fresh are not available. Hint: Don’t use aluminum. When cooking cranberries be sure to use stainless steel, glass or porcelain-covered cookware. Aluminum will discolor, due to the acid in the berries. In a small non aluminum saucepan, combine the cranberries and water, cover, and place over medium heat. Cook until the cranberries pop and the liquid bubbles. Pass the cranberries through a strainer, pressing well with a spoon. Be sure to scrape all the lovely red puree on the underside of the strainer into the bowl to use. Let it cool. Whisk together the egg yolks and egg until combined. 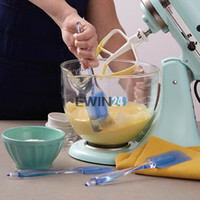 While whisking, pour in sugar and whisk until a light yellow color. In a non aluminum saucepan, combine the egg mixture to the cranberry puree, and continue whisking until creamy and well incorporated. Place over medium heat, whisking constantly, until the curd thickens and can coat the back of a wooden spoon, about 5-7 minutes. Remove the pan from the heat, and stir in the butter, one cube at a time. Strain into a bowl or jar, cover surface with plastic wrap and chill in the refrigerator for at least one hour. CharlesR, you will make about 2 cups. What you see on a photo thats all-))) Next time I will double the recipe for sure! I will definitely make it. This is so beautiful, tasty and has a lovely color! Have a great day! Hi Yelena! So pretty! I am happy to find out that you started holiday theme so early. I get to enjoy your creations more. I've only tried lemon curd before and nothing else. Cranberry curd sounds so good! You have so many lovely props (you may use them daily though) and it's fun to imagine how your home is like. I bet your home is filled with lovely objects! Dear Nami, i do have a lot of props, I love to have different plates, fabrics and silverware. I hope one day you visit us then you will see our house and enjoy it with us. Bring on the holiday blog posts! This is beautiful. I love the crisp white with the pop of holiday red. I've never tried anything like this but it looks delish. Hello Yelena, It is so nice to be back to blogging and to visit all my blogging friends… 🙂 Your creations look so crisp and delicious! 🙂 I love cranberries in any form and shape! Beautiful! I have tons of cranberries in my refrigerator right now. . .saving this! Now this looks and sounds fab, Yelena. Love your styling on every picture that you took, very delicious and pretty! Can I can this? ( water bath) so I can give as gifts for Xmas? @Peg – I was wondering the same thing. If I'm canning this, do I still need to put it in the fridge to chill? Or can I put it directly into the jar and into the water bath? Peg and Lei, thank you for visit me here. I think you can can it, but I would keep it in refrigerator, because of the eggs. I think it be ok for about a month or so. Peg you don't need to chill before put the curd into the jar, thats for sure! Have 2 package in the freezer. I took your advice and used this as filling for a cranberry meringue pie for Thanksgiving. It was beautiful and delicious! Thanks for the recipe (and pie idea)! You are so welcome, BeckyM. I am so glad that you liked it! These are so beautiful! Last year I made the recipe from the Kitchn (that you linked to in your post Cranberry Curd Bars & Walnut Shortbread Crust), and I was wondering if you have tried the curd with their recipe as well as yours – and why you've made your adaptations of more water, less eggs, etc. I would love to learn how those tweaks affect the curd and final bars as I decide which version to make this time. Thanks!! Hello Mary-) I like my recipe, it is simple to make and have ingredients that I like. If you try other version please let me know how you like it. Have a wonderful winter holidays! !